Hope her maj is home and maybe she’ll pay us to stop playing outside her bedroom window and then GOSH will get lots of money. Either that or she’ll love it and give us a Royal wave. It’s win win really, isn’t it. Probably the last chance you’ll get to see us before it gets too cold. Brrrrr…..
Great (nearly)end to the best season yet! Huuuuuge crowds, lining the streets of East Oxford, for a full-on, powerful parade down the length of the Cowley Road, and a stage show to finish a perfect day. Well done and thankyou to all involved, I think ‘Sambalactica’ has well and truly flown to the stars and back and shared samba with the universe this year and during the immense journey of the last 10 years. Emotional doesn’t even begin to describe it. But fret not, that ‘nearly’ means that there are 2 more chances to join the UDMSamba journey. 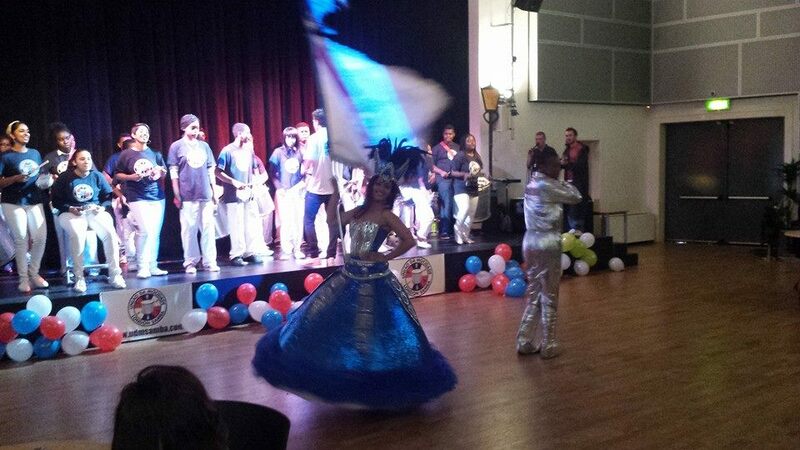 Notting Hill Carnival Mon 28th August and Hackney Carnival 14th September both with Paraiso School of Samba – See you there! Our annual day out with the Mandinga Arts team and Johanna Primary School, accompanying the 300 strong whole ENTIRE school in costume. HOW. 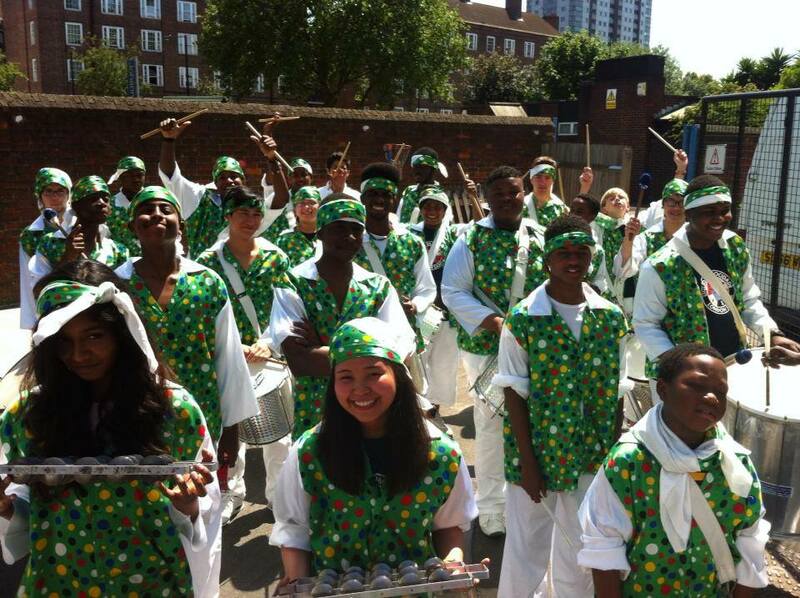 This weekend = City of London Festival Children’s Parade, Fri 27th June and Southwest Fest SW1, Sat 28th June AND our 10th anniversary celebration! UDM’s 3rd year at COLF Children’s Carnival Parade, and every year it just gets better. What a privilege to be chosen to perform on the steps of St Paul’s Cathedral.